Check it out with the 24-hour free trial today! 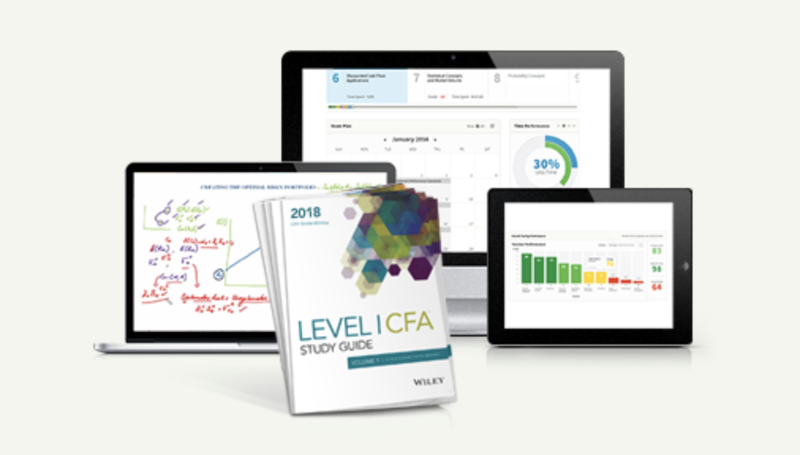 Wiley CFA Review (formerly Elan Guides) is one of the more popular prep courses available for aspiring Certified Financial Analysts. It offers a fully integrated learning system with packages at different pricing levels. We love this CFA course because of the tremendous value it offers, and the thorough video lectures are a big benefit, too. Check out our popular Wiley CFA discounts below. 1. Practice questions: 5,000+ questions in Level 1, 3,200+ in Level 2 and 1,000+ in Level 3. They can be accessed via tablet or smartphone. 2. Mock exams: Full-length, timed mock exams with answers and explanations. 3. 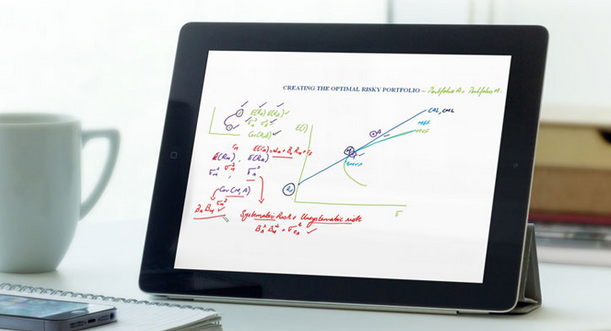 Study guide: 1,300+ pages of study text in 5 volumes of printable ebooks. 4. Exam planner: Personalized digital exam planner that adapts to your schedule, pace of learning, and progress. 5. Formula sheets: 90+ pages for L1, 60+ for L2 and 60+ for L3. 1. Videos (platinum, gold, silver): 110+ hours of streaming video lectures by star instructors, broken down into bite-sized lessons. 2. Online mentoring (platinum, gold): Students can post questions and get answers from CFA instructors within 24-48 hours. 3. Weekly virtual classroom (platinum, gold): 14-16 weekly live online classes for each level, which are also recorded for on-demand playback. 4. 11th Hour Guide (platinum only): The 11th Hour guide is a highly-regarded, concise set of notes that condenses all of the readings to help you study in the final weeks before the exam. The 11th Hour guide can be sold separately. 5. Final review and mock exam seminars (platinum only): Part of the 11th Hour Final Review Course, with 27+ hours of exam review video lectures by top CFA instructors. Videos make Wiley stands out from the crowd. First, the videos are incredibly easy to follow. Second, the instructors teach from scratch. After watching the videos, reading the study guide is very quick as you have already understood all the stuff. They go through each and every example in the videos as well. Some readers told me they didn’t even read material that much; all they did was watch the videos and take notes. One of the instructors, Peter Olinto, is a long-time superstar at Becker CPA Review. Peter teaches in such a manner which never makes you lose focus and concentration. Another well-liked instructor is Basit Shajani, founder and instructor of Elan Guides, and now Editor-in-Chief for CFA Prep Materials at Wiley Global Finance. Basit is very thorough, making sure you know your stuff. He is especially helpful with math intensive materials. If you prefer thought through questions instead of the plug and chug type, Wiley is the choice. Many think they are closer to the real deal than Schweser’s set. The 11th Hour Guide is a condensed form of the CFAI curriculum and is more detailed than Schweser Secret Sauce. Provided you have done all the questions for each reading and review them until you get above 70%, the 11th Hour Guide will be all you need as a reference point during your review. At $1,295, it isn’t a steal, but you save a couple of dollars getting Wiley vs the others. It is a solid $750+ saving for all 3 levels. Plus, you can save when you use this link. This is my personal favorite. I always prefer providers who are confident enough to give out free trials and unlimited access, because they have nothing to hide about their excellent product, and they don’t worry about people staying forever and eat up resources because, well, their students do pass and move on. 1. Schweser Notes are Easier to Read? People have different opinions, but from readers who study from both courses, there is a very slight preference regarding Schweser’s notes. Schweser is more concise according to these readers. The official textbook is included in your CFA exam payment, so technically you don’t need third-party providers such as Wiley. There are candidates who rely on CFAI textbook alone. CFAI books are great if you have the time and dedication to swim into the sea of finance. 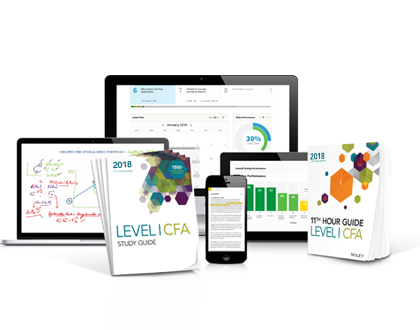 Practically, for most busy professionals, they need a learning system that includes videos and tracking tools to dissect each section and efficiently go through the CFA study materials. 1. Wiley CFA seems to offer better products, but why the lower pricing? It doesn’t make sense. To answer this question, we’ll need to go back a bit in history. There used to be two dominant review courses — Kaplan Schweser and Stalla — for the CFA exam prep market. In 2011, Schweser acquired Stalla and virtually became a monopoly. For smaller guys such as Elan and 7City, they had to substantially reduce their price to compensate for their lesser-known brands. Now that Elan has been acquired by Wiley, it makes the best use of its state-of-the-art online platform that has been proven successful across their CPA and CMA review courses. Basit Shajani stays, and Peter Olinto, who used to be the anchor instructor at Stalla, came on board. Wiley CFA has all the good stuff but for now, at least, they have to offer more affordable pricing to offset Schweser’s dominant position in the market. As a customer, I would fully take advantage of that. Wiley is most suitable for candidates who look for engaging, thorough instruction through videos. These high-quality videos paired with a solid set of tough questions allow candidates to properly study and pass on the first try. 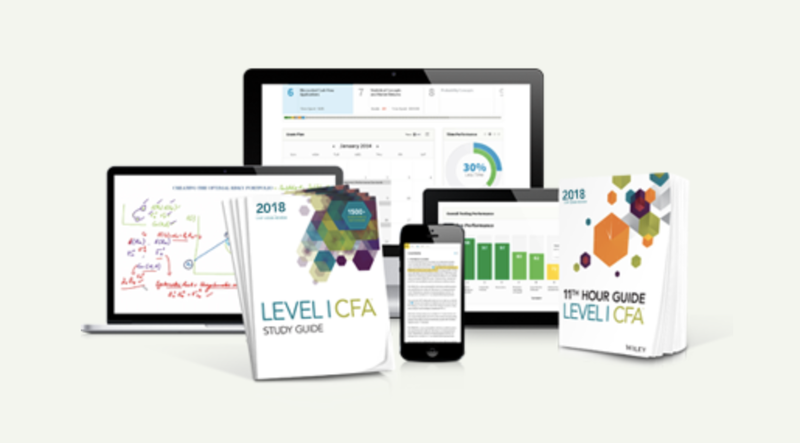 Looking at the entire package including the videos, detailed instruction, notes, 11th-hour guide, interactive online planner and tracking, pass guarantee, free trial, live virtual classes, and reasonable price, Wiley CFA review course is my top choice. What do you think? Get the 20% off Wiley CFA Review Courses! Is promo code for 2018 exams available ? If you don’t want to get it now, you can always check their main website as they have (different) discount codes from time to time. Thank u for ur benefite dada. My English is not very good , and I’m working in my English , my bachelor degree is industrial engineering, in ur openian I can read willy book and pass cfa exam, or it is better that willy product, thanks. Hi Saeed, thanks for your note. It really depends on your learning style. You can sign up for the free trial and see if you can follow how it works online.